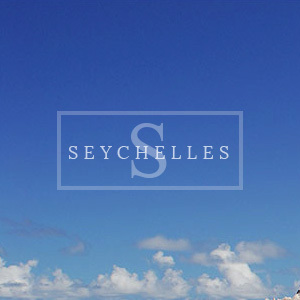 Six Senses Hotels have become synonymous in opening seductively beautiful beach hotels, and it is wonderful news that Six Senses Zil Pasyon will soon be opening in the Seychelles. 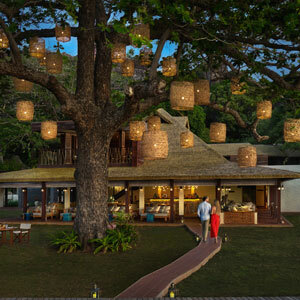 The hotel is located on the private island of Félicité, about 55 kilometres north-east of Mahé, and close to the well known islands of Praslin and La Digue. The dramatic granitic island is around one-square mile in size and is characterised by its large granite boulders and picture-perfect beaches (the best being La Penice just around the corner from the main resort). The forested centre of the island rises up to a peak of 213 metres, providing a range of walking trails for guests to explore. Exceptional flora grows on the island - keep an eye out for wild vanilla orchids, coconut palms, wild mango, bananas and oranges, amongst many others. 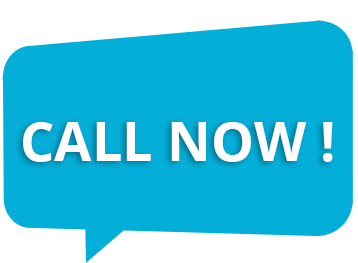 Select from distinctive dining venues. Offering breakfast & dinner inspired by flavours from the Seychellois spice route, this is a melting pot of European, African & Asian fare. Drinks and snacks are served throughout the day in an open lounge, highlighting a coffee menu, signature cocktails & Deli board. The Ice cream expert cruises the island serving up a delectable assortment of ice creams and sorbet. Homemade with the freshest local ingredients, the yummy selections are complimentary and change daily. Private fine dining experience for two or as many as eight set among world’s most diverse varietals in the cellar. Includes regular wine tasting hosted by the master sommelier. 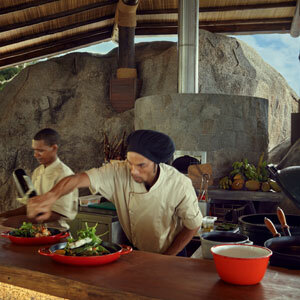 Meat-free ocean side dining, open for Lunch & dinner, offering fresh and simple cuisine from local waters. 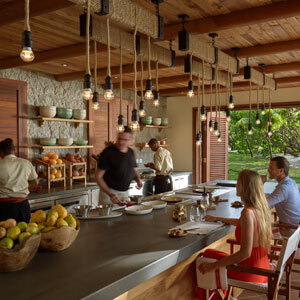 Live cooking table for up to six guests who can interact with the chefs as dinner is prepared. 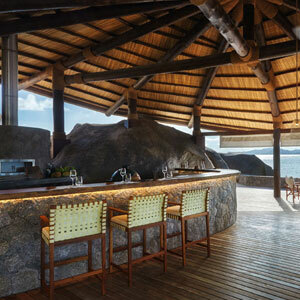 Traditional bar featuring a selection of flavoured and aged rums plus Cuban cigars. Located beside the ocean, serving drinks and refreshments throughout the day. Learn the art of preparing dishes with the freshest local ingredients including fish, exotic fruits & vegetables as guided by talented chefs. 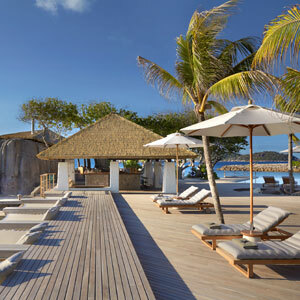 Includes diving, snorkelling, sailing, kayaking, standing paddleboard and island-hopping boat trips. Discover the smallest of the three main islands by bicycle, the only conveyance you can find on La Digue. The most outstanding fishing destination for hand-line or deep-sea fishing. 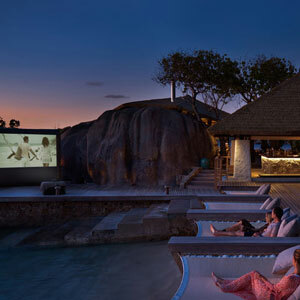 Six Senses presents film favourites on the big screen under the stars. This impressive spa is perched atop and between towering boulders and offers a wide range of holistic wellness, rejuvenation and beauty treatments administered under the guidance of expert therapists. The Spa is equipped with five individual double villas for treatments, hammam, sauna, steam, Yoga and meditation pavilion, beauty salon, innovative and traditional treatments from in-house experts and regular visiting wellness practitioners. Nearby the spa, a modern gym features cardio equipment, weights machines and functional training elements where guests can enjoy great fun workouts and all levels.